It has been long time since I posted a coffee recipe. 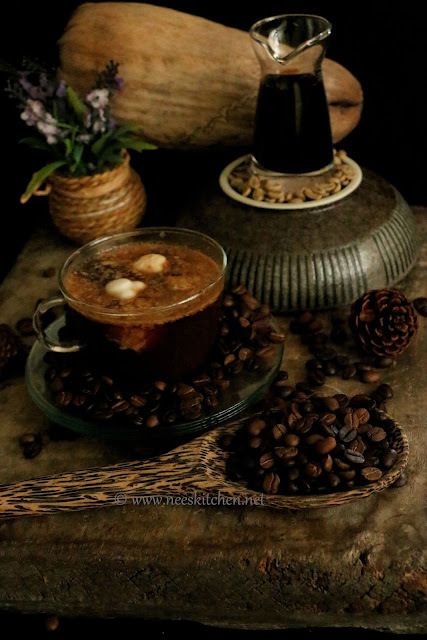 This one is again with the leftover 3rd degree filter coffee which most of us do not use as it less flavorful. 3rd degree filter coffee is mixed with honey, cocoa powder, vanilla essence and finally served with coconut milk ice cubes. I found this recipe from PInterest and found very interesting. The coffee I used here is “Deccan coffee – Moganad”. The Coffee tastes like a toffee & a bit fruity as well. 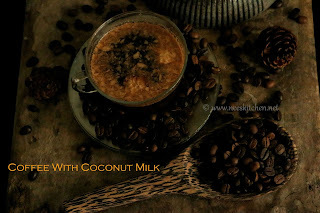 The taste was very good & fresh that I couldn't waste even the third degree decoction. 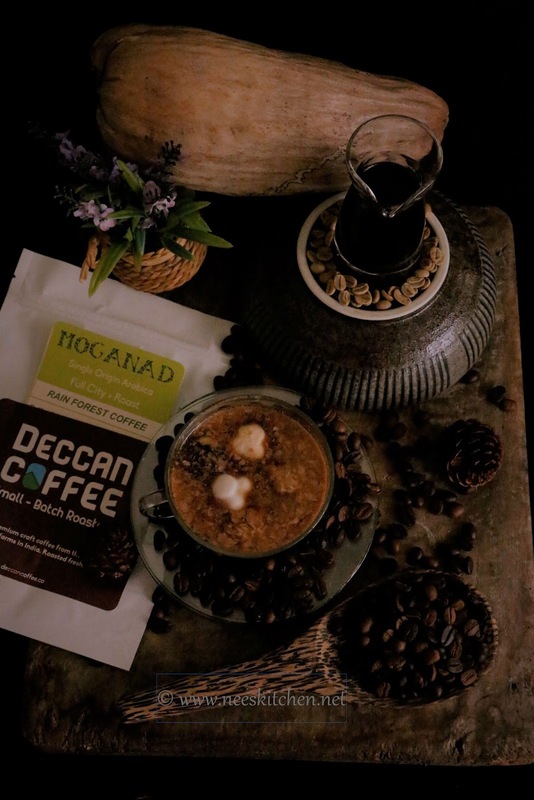 A certified Rain Forest grown & UTZ alliance coffee from Moganad estate, Shevaroy Hills. The estate is ( believe us or not ) in the midst of an actual rain forest. Bio organic farmed, the control with which the coffee is grown mirrors in the cup when brewed. Balanced and clean, its going to be a field day for all black coffee lover. 2. When you are preparing the 3rd degree decoction add enough water to make it 50 ml. 7. 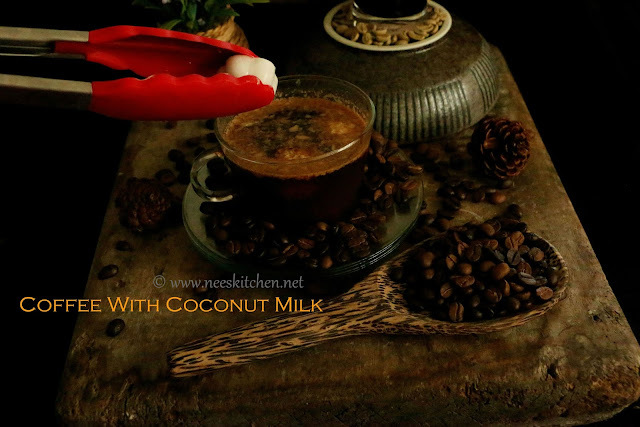 Take 2 coconut milk ice cubes and add them to the coffee. 3. Adjust the taste of honey. 4. You can use instant coffee or 1st or 2nd degree filter coffee also. Adjust the proportion of water and coffee according to your taste buds. 5. 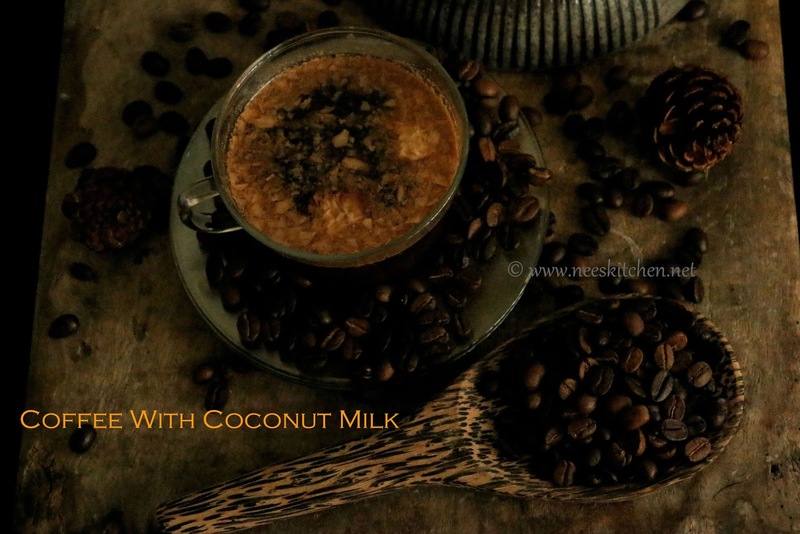 The coffee I used is quite strong flavor hence adjust the decoction levels according to your taste buds.